Tox-Tech provides litigation support and expert testimony in the area of toxicology, with specialized experience in drug and alcohol effects on driving and job performance, post-mortem investigations, analytical technology and drug testing in the workplace, including hair testing. 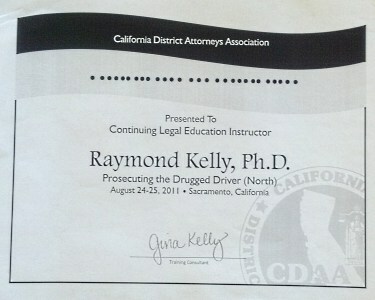 Services offered include thorough, scientifically sound case review and clear, concise expert testimony. We provide services to the medical, legal and laboratory communities. Tox-Tech endeavors to provide the most astute scientific contributions to forensic toxicology cases - to offer timely case review, consultation and testimony meeting the highest scientific, legal and ethical standards. 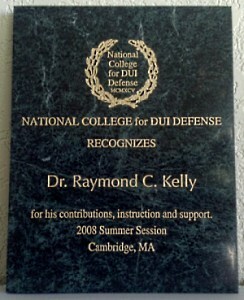 Recently resolved cases in which Dr. Kelly has provided expert testimony or consultation have included driving automobiles, motorcycles and boats under the influence of alcohol and/or drugs, therapeutic drugs in (alleged) medical malpractice, toxic causes of death in postmortem cases, industrial chlorine gas exposure, and drug contamination of nutritional products. Retaining parties have included criminal prosecutors and defense attorneys, city attorneys, state attorneys general and both civil defense and plaintiff's counsel. For more information on Dr. Kelly's involvement in these types of cases, please contact our offices at 702-435-1900.